News surfaced this week of Queensland Police shooting down a drone operating close to a temporary restricted area near a Commonwealth games venue. With the Opening Ceremony for the XXI Commonwealth games on the Gold Coast due to commence in under a week, efforts to keep the 6,600 athletes and the expected tens of thousands of spectators safe, are in full swing. In a joint effort, the Queensland Police have joint forces with the Australian Federal Police and Australian Border Security to crack down on the illegal use of drones in and around the 15 plus locations throughout Queensland before and during the Commonwealth games. The Civil Aviation Safety Authority along with Airservices Australia have activated Temporary Restricted Areas to aid law enforcement agencies in policing these locations. Similar to speeding offences on the highway, operating a drone without approval in restricted airspace, is a strict liability offence. This means that the offence can be prosecuted without the person even knowing the offence was committed. Naivety is no excuse when it comes to strict liability. 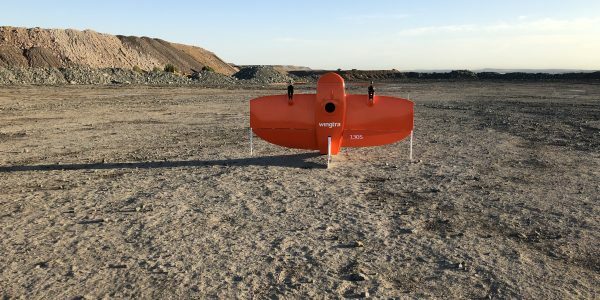 Professional drone operators who have undertaken training with a reputable drone training provider should understand the significance of restricted areas and how to obtain approval to operate within that airspace. 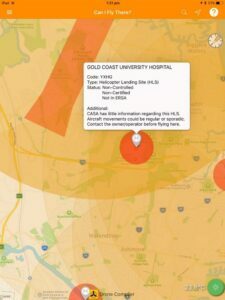 Those that do not hold a Remote Pilot Licence and Remote Operator Certificate are unable to gain approval for operations within restricted airspace and must avoid the area. Operations in and around Temporary Restricted Areas come with unique challenges including identifying if, and when they exist. The main difference associated with Temporary Restricted Areas (TRA’s) is that due to their temporary nature, they do not appear on many charts and maps. The rules regarding operating within TRA’s remains the same as permanent Restricted Areas. Information regarding the activation times, heights of restriction and type of operation can be found in NOTAM’s and Advisory Circulars. Certified Electronic Flight Bag’s such as Avplan-EFB highlight temporary restricted areas both active and planned. The top image is a screen shot from Avplan-EFB a certified electronic flight bag. The image clearly shows the active Temporary Restricted Area’s highlighted in red and future TRA’s in yellow with the relevant NOTAM (activation message) information. Temporary Restricted areas are not a new thing and common in Australia. 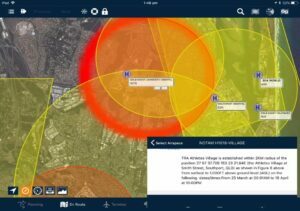 The key to identifying and/or operating in these areas, professional drone training from an organisation intimate with the Australian airspace system.